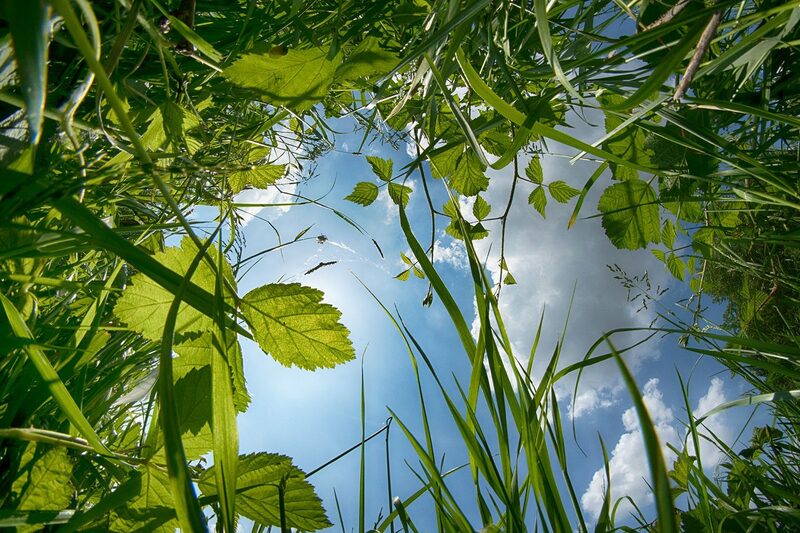 North Carolina is an amazing state to live for many reasons, so do not let pesky rodents intrude on your hard-earned garden or landscaping materials. Rodents are capable of transmitting and carrying diseases, destroying personal property such as wood porches and fences, and can also destroy entire gardens in an extremely short amount of time. If you feel as though you’re suffering from rodent infestation, Stomp Pest Control is here to help answer any rodent-related questions to the best of our ability. As part of ‘The Stomp Difference“, we take pride in educating and guiding our current and prospective customers to the best of our ability in order to create a pest extermination strategy that works best for their lifestyle, budget, and timeline. How do I tell if rodents are in my home? 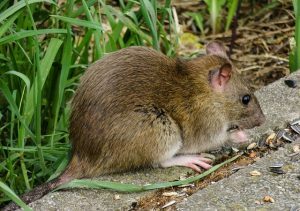 By gaining an understanding of how to inspect your home or commercial property for rodent infestation, you can not only determine which specific rodent you’re dealing with and protect yourself and your family from health risks but also develop an applicable plan to ensure you avoid pest infestation for years to come. Rodents are notorious for ‘flying under the radar’, as they often go unnoticed. This put you and your family at an even greater risk, as rodents carry numerous (sometimes dozens) of diseases and pathogens. Rather than risk you and your family’s safety, contact your Raleigh pest exterminators today to learn how you can avoid difficulties stemming from rodent infestation by calling (919) 231-3292. While each rodent’s signs differ slightly, it is safe to say that they’re all going to leave droppings around kitchen and garbage areas. It is common for rodents to actually tear into garbage bags and eat anything they find appealing, which, if you think about it, is sickening. “If it’s rice, it’s mice” is a saying used to help homeowners identify rodent droppings and distinguish those dropping from other pests. If you think rodents are limited to only objects and areas at ground level, think again, as they have a way of finding their way up to cupboards not only to feast on food but to nest and possibly breed as well! As far as material used for nesting is concerned, keep your eyes peeled for shredded paper, fabric, and pieces of gnawed food and food packaging. If you have cats or dogs, you may also notice them behaving differently, as they’re likely able to hear the rodents more intimately than humans. How do you tell if you have rodents in your walls? If you suspect there are rodents in your walls, there are several things to take note of including but not limited to subtle rub marks indenting and displaying on the outside of the wall, piles of rodent droppings around basement attics, behind refrigerators and stoves, and, of course, scurrying and squeaking sounds which would occurs primarily in the evening. When can Stomp Pest Control come to my home? Our well-versed and experienced team is likely in your area more often than you would think. 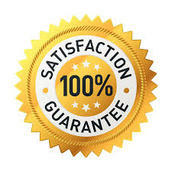 Really stressing the importance of transparent dynamics between customers and employees, we are easily reached and would happily provide you with a time frame as far as when we could come by for our initial inspection and evaluation. Our customers have often mentioned how much they appreciated our hassle-free, one-call scheduling and emergency, same-day service. Please keep in mind, we are only a quick phone call away. Is a rodent-focused preventative maintenance plan necessary? YES! A preventative plan is the only plan that works for rodents. They are going to return one way or another and are notorious for breeding quickly and inconspicuously. It will be up to you to determine whether you want your home protected when they inevitably come. If there is not pest control product discouraging them from coming inside, what is stopping them from getting inside your home? Nothing is, and they will come. Offering coverage again numerous rodents native to Cary, Raleigh, and surrounding areas, be sure to ask us any questions related to maintaining a rodent-free home for years to come. We love answering questions and will help any way we’re able to. How to tell if rodents are gone from my home? As pest control experts, we assure you that our follow-up service will determine whether rodents are gone or not. If the aforementioned signs of rodent infestation signs are disappeared try the “biscuit test”. 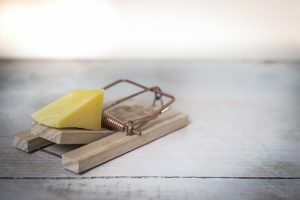 Used by many homeowners, restaurant owners, and commercial property owners, the biscuit test is a strategy when you leave a biscuit in the place where that had once been infested with rodents, or at a place in which you suspect rodent activity. Rodents LOVE free and easy meals! Are rodent droppings and urine harmful to humans? In many instances, humans have become sick due to rodent droppings and urine. It is best to consult with a certified health professional if you suspect your health is being compromised from rodent droppings or urine. At Stomp Pest Control, one of our major goals is to perform a thorough and consistent service that our exterminator customers can count on. Whether your home or business is in Raleigh, Cary, Wake Forest, Chapel Hill, Durham, Holly Springs, Apex, or other Triangle locations, you can count on Stomp Pest Control to rid your home of pesky rodents. Along with rodent extermination, be sure to check out our pest control frequently asked question page to learn about cockroach, mosquito, ant, spider, wasp, and bee extermination services in which we offer. The proof of this is in our retention of our customers, and we have received numerous referrals. Fill out our contact form or give us a call today at 919-231-3292 to learn more about The Stomp Difference and how we can eliminate your intruding rodents for good!